Potter County Judge position that Arthur Ware is vacating. Ware, you’ll recall, suffered a stroke and has since struggled with communication and other issues, finally acknowledging last month he is no longer able to fulfill the duties of the office. It’s clear, however, that he didn’t struggle with stabbing people in the back because he fired long-time assistant Nancy Tanner after she announced she would seek election to Ware’s seat. This act of vengeance occurred before Ware publicly announced he would not seek re-election. But when Ware announced he wasn’t going to run again, he endorsed McCartt. I am not privy to all the machinations on this issue, but I got a letter from Tanner’s campaign Friday that announced her bid for the judgeship. She also held a news conference Friday afternoon. The letter I posted Friday lists prominent area citizens whose views, I know, span the political spectrum. Tanner’s campaign website also lists names. McCartt told me she was “thinking” about the judge race at the First Friday Art Walk on Aug. 2, so her subsequent announcement was no surprise. McCartt’s formal announcement let loose a blizzard of stories and commentary in the local media. And some of that commentary wasn’t exactly kind to McCartt. Nor, I believe, did it need to be. While many Amarilloans pride themselves of being positive and courteous — and sometimes see facts and truth to be unkind — electing people to make public policy decisions requires a clear eye and open, thoughtful and analytic mind. So, for what it’s worth, here are the only two reasons why Tanner is the right choice to become county judge: She was court coordinator for 20 years and did Ware’s job since he had his stroke. 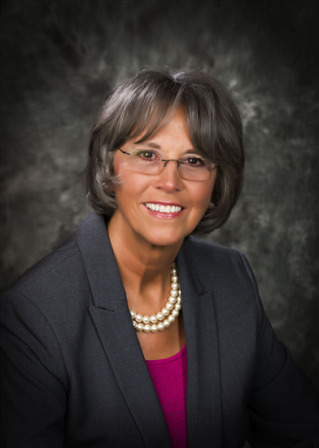 • As mayor, McCartt was a moving force in the current and misguided effort in downtown redevelopment but she never acknowledged she had a conflict of interest. Her husband, real estate developer Joe Bob McCartt, had substantial interest in downtown properties at the time. McCartt might not be the only elected official to suffer an ethical lapse, but she did and that doesn’t speak well of her continuing in public office. • When David Wallace, of Wallace Bajjali Development Partners, pitched the Amarillo City Commission to become master developer for the downtown redevelopment plan, he dropped names left and right. McCartt was enthralled. She came off like a bumpkin instead of a serous public policy leader. The Amarillo mayor is largely a ceremonial position, so being enthralled by Wallace dropping Margaret Thatcher’s name in and of itself did little proximate harm. But, being Potter County Judge is a substantial position that goes far beyond running a meeting (which McCartt did well). It requires wisdom when handling probates and mental health issues. What might sway McCartt during these very important hearings? • McCartt’s relationship, both blood and political, would be a first step in making the City Commission and County Commissioners Court an “interlocking directorate,” something that would be a danger to good public policy in Amarillo. She is part of the “good ole boy” network and for Amarillo to move into the 21st Century, it needs new blood and more diversity. Potter County won’t get that with someone so entrenched and well-connected. • If truth be told, McCartt’s job situation — she’s been hopping a bit — may be as much a driver for seeking a well-paying elected office. The “wanting to serve” is well-worn rhetoric. And that is all it is — rhetoric. The “wanting to serve” mantra is a sterile but helpful step to seeking higher political office, and it’s no secret among the Amarillo political cognoscenti that McCartt wants to be either a state representative of senator or run for Mac Thornberry’s seat in Congress. Since I can’t accept the “wanting to serve” as the real reason for wanting to be judge, I don’t see any other good one for McCartt to be elected. McCartt is a personable lady. She is always cheerful and optimistic. But she’s no Nancy Tanner. So, the field is set for 2014? McCartt and Tanner? No one else is out there, waiting to get into the game? Hmmmm. Interesting endorsement. Seems a tad premature. One more thought: You spent a lot of energy explaining why you think McCartt is the wrong choice for county judge. How's about listing the reasons why Tanner is the right choice and should be elected -- even though the field for this contest might not even be set? To address both your comments: 1) I don't think anyone else will jump into the race; but, even if they do, I can't imagine anyone more qualified than Tanner. I smell Joe Kirkwood circling political office, possible Ware's seat. But despite his experience on the court, I don't think he has the ethics to be a political leader. 2) I gave reasons for backing Tanner. "So, for what it’s worth, here are the only two reasons why Tanner is the right choice to become county judge: She was court coordinator for 20 years and did Ware’s job since he had his stroke."